Holiday-driving isn’t just about getting from one destination to another – it should be relaxing, stress-free, a chance to create memories and experiences, and most of all, have fun! Life should be full of surprises and super value car hire from Budget Car Rental couldn’t be easier and more convenient - there are around 3,500 locations in more than 120 countries worldwide. Wherever needed, there is sure to be a Budget location not too far away – on arrival at airports, at railway stations or downtown – the choice is for the taking. From the iconic landmarks of London and Paris, to the chichi charm of Barcelona and winding canals of Amsterdam – Europe has both beauty and brains. Why wait? Jump in, get out there and explore jaw-dropping scenery, mind blowing architecture and age-old art, history and culture. Explore with style. Zip through France in a hot hatchback, cruise Italy’s roads in a cool convertible or ride Germany’s autobahns in a classy automatic car. Whatever the fancy in Europe, Budget has a car to suit! Budget can even provide all the extras to get the most from the road trip – from satellite navigation (GPS) and super-speedy mobile Wi-Fi, to industry-safe child and baby seats… and it is not a must to finish where the journey started as at many Budget locations, one-way car hire is available – pick up a car from one place and drop it off at another. Driving with Budget brings out the best of travelling. 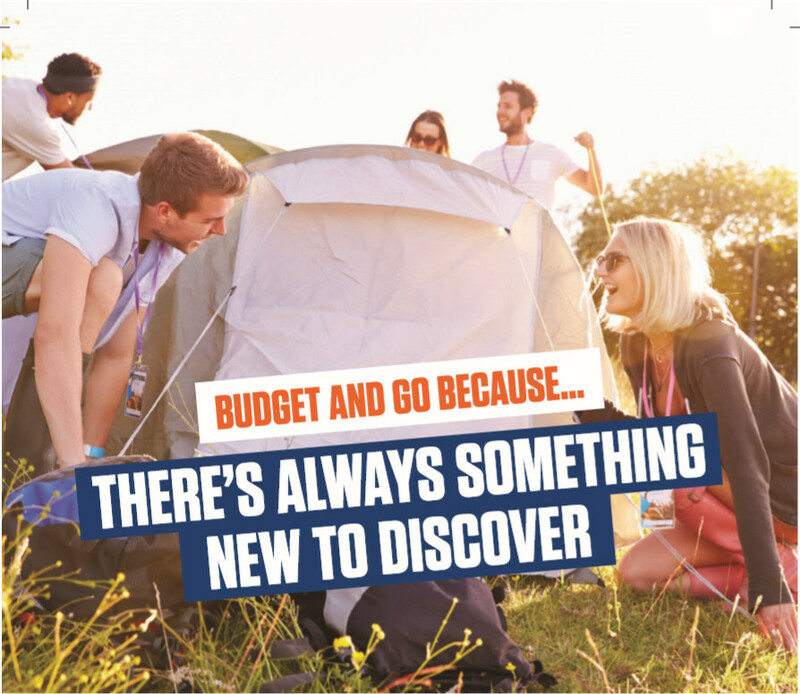 You can’t put a price on adventure, so pack the tent and go camping, stop for a picnic somewhere scenic, party at a festival, go fishing, fly a kite and above all, enjoy the ride!